Japanese students with colorful outfits while out and about in Harajuku. 19-year-old student showcasing minimalist streetwear in Harajuku. Harajuku girl showcasing all-black street fashion. Vintage and handmade streetwear styles in Harajuku. Harajuku duo showcasing monochromatic streetwear styles. 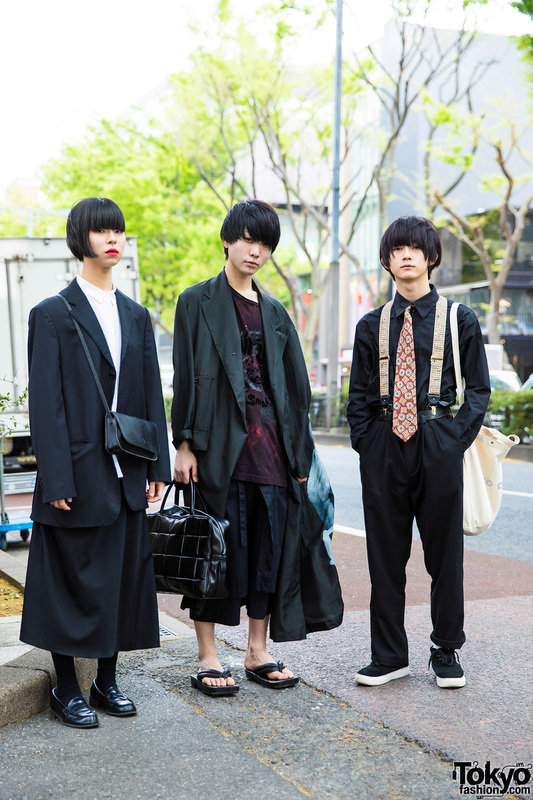 Japanese trio showcasing dark street styles in Harajuku. Kimono overcoat and black leather boots in Harajuku. Japanese teens showcasing colorful street fashion in Harajuku.